Would you love to study something in the financial industry and get that “CA” behind your name? 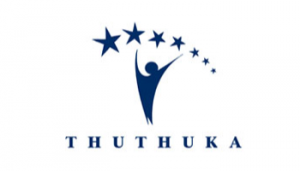 If you have the brains and determination, look into the Thuthuka Bursary that is offered by SAICA. The purpose of the project is to annually place between 250 - 300 fully bursared Black African and Coloured students at selected SAICA Accredited universities in cohorts of 50 per university on special undergraduate BCom Accounting education programmes. The accredited universities that are part of the programme are the University of KwaZulu-Natal, University of Johannesburg, Stellenbosch University, University of Pretoria, University of Cape Town, Free State University and the Nelson Mandela Metropolitan University. The Thuthuka Bursary Fund is looking for academically strong learners who aspire to become Chartered Accountants. Students who do exceptionally well in Mathematics and have excellent marks in the other subject to qualify for university entrance may apply. Do you have 60% in Mathematics in your Grade 11 Final Results (Level 5)? Do you have enough points to qualify for university entrance? Do you come from a family that cannot support you financially at tertiary? Are you an African or Coloured learner? If you answered YES to all the questions above, then you qualify. Complete an application form and have it reach us before 30 April. (with all the supporting documents). For more information or to download an application form visit the South African Institute of Chartered Accountants now. Are you interested in any other bursaries?